Stephen King’s novel about the outcast teen with telekinetic powers has been adapted previously; once in the 1976 theatrical release by Brian De Palma, and again as a TV movie a little over a decade ago. This was the first of King’s novels to be adapted into a film and was such a phenomenal success the first time around that it comes as no surprise that there have been skeptics of a new version. If anyone is equipped to handle this content in a new way, however, it is director Kimberly Peirce (Boys Don’t Cry, Stop-Loss). For my exclusive interview with Peirce, click here. In some respects, this material needs a feminine perspective to guide the story, refraining from the type of exploitation which would ultimately damage the film’s message. There are actual teenagers cast in the roles of high school students, rather than the unnecessarily nubile twenty-year-olds from De Palma’s version. Rather than simply offering up the prerequisite skin and gore for a horror film, Peirce’s Carrie is an introspective look at the damaging effects of bullying built into a brutal revenge film. Hollywood is a hungry monster, almost like the alien mass in the classic science-fiction horror film, The Blob, constantly absorbing all that comes into its path. 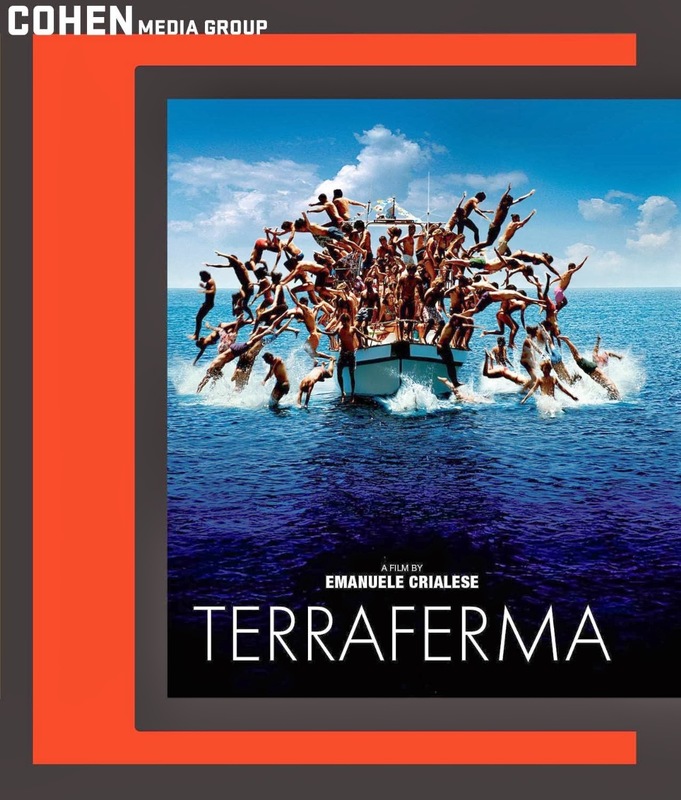 This often includes an assortment of foreign directors, whose success in their home country and native language can provide the chance to become a part of this beast. This tradition has been a constant since World War sent foreign film industries into a tailspin and the seclusion of Hollywood made it an ideal point of escape. It is so common for Hollywood to integrate foreign talent that it is easy to forget the significant moments in history which have sent American talent overseas in search of opportunity. Jules Dassin may have an extremely French sounding name, but he was an American with a distinctly Hollywood style of crime films under his belt before making his first film in France. 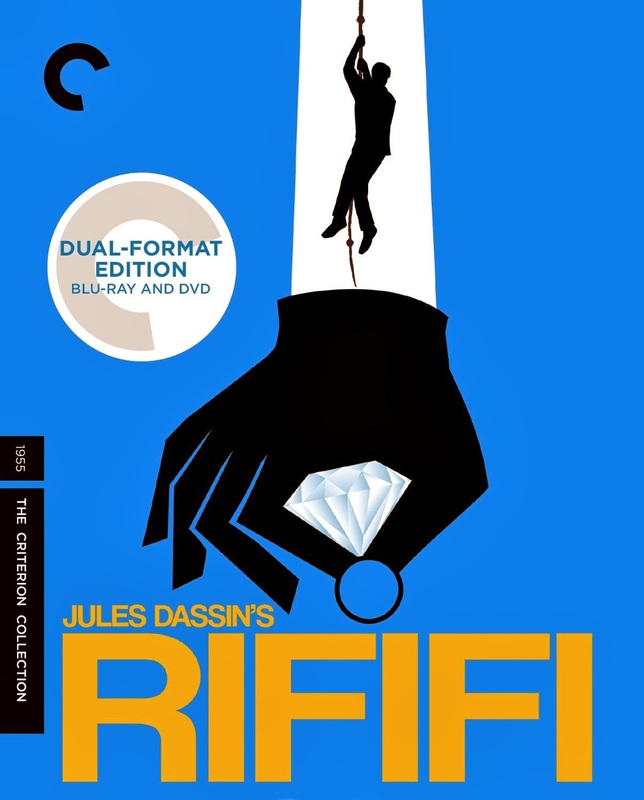 Rififi (1955) was the result of an unfortunate set of circumstances, and one of the few instances in cinema’s history where filmmaker’s had reason to escape from rather than to Hollywood. Dassin had established himself in the hardboiled crime genre with masterpieces such as Brute Force and The Naked City until accusations of Communist activity forced him to flee Hollywood in 1951. A Single Shot provides a moderately engaging viewing experience, mostly because of way that even the film’s narrative twists and turns seems comfortingly familiar. There are no real surprises in this film and little beyond the performances stands out in the memory after it has been watched. The rest almost seems to be there simply to service these wonderfully colorful characters that the actors play. 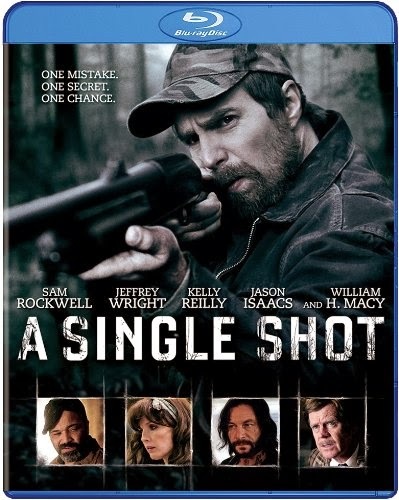 Sam Rockwell gives a wholehearted performance as John Moon, a backwoods poacher who has seen bad luck that lost him his family farm and wife in a short period. This streak of bad luck continues when Moon accidentally shoots a woman while hunting for deer, and while stashing her body he discovers a box full of cash. This seems to be a stroke of luck until his newfound wealth brings all sorts of unwanted attention from some out-of-town visitors. The integration of sound into cinema came in a transitional period of stages, with an all-out dialogue-filled film being the end result. Before that were scenes of dialogue or music in an otherwise silent film, and even after the advent of sound there were silent films being made. Some of these utilized soundtracks before they did dialogue, because the sound effects could be added after the filming was already completed as a way of enhancing the silent film for audiences on the cutting edge. 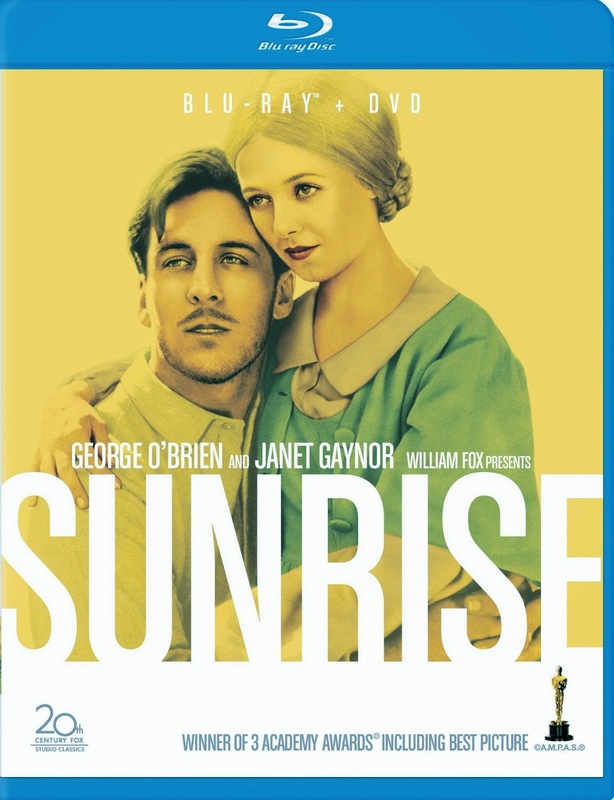 Sunrise utilized the groundbreaking Fox Movietone sound system to provide the audience with a soundtrack to match the magical visuals in F. W. Murnau’s melodrama masterpiece. This 1927 film was released only a month after The Jazz Singer, which contained cinema’s first spoken (and sung) words. Though Sunrise was a technical masterpiece with groundbreaking soundtrack work, it failed to impress audience because it had no spoken words. 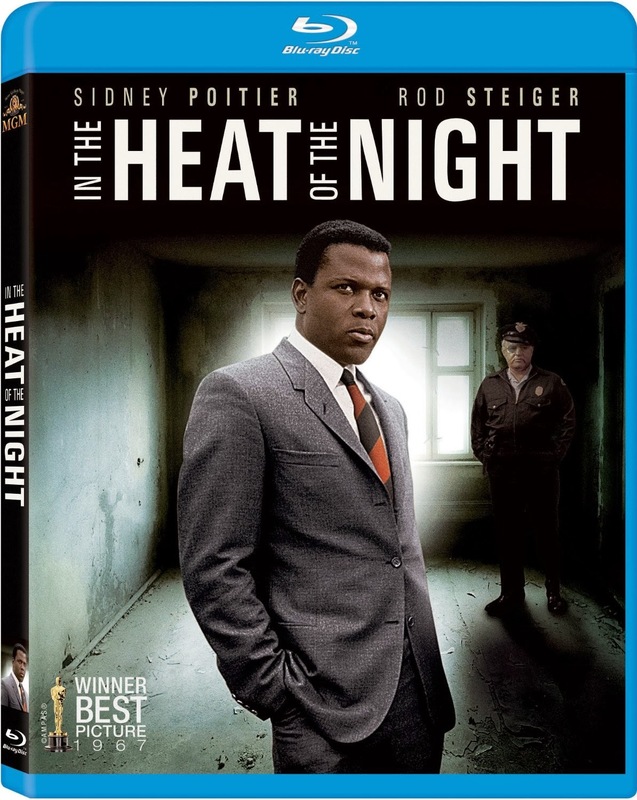 Filled with stark and profound images of racism over the backdrop of a murder mystery and the winner of five Oscars, including Best Picture, In the Heat of the Night is more than deserving of an anniversary edition release on Blu-ray. As MGM celebrates their 90th Anniversary, this classic from 1967 is transferred to high definition. The special features are simply transferred over from the 40th Anniversary DVD release.